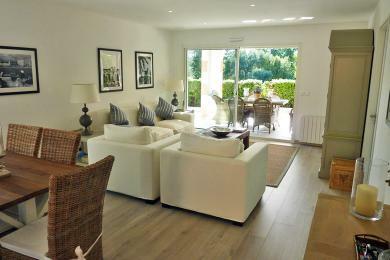 Luxury holiday villas in Mougins. Luxurious and charming villa with private pool in Mougins, Côte d'Azur. Located in a beautiful residential area on a closed Domaine. The garden is completely flat and has a beautiful lawn which makes it suitable for families with young children. Very special is the private gym or gym. The villa is suitable for 8 people. 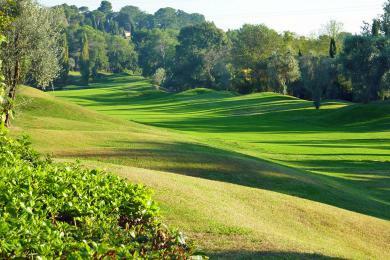 Uniquely situated semi-detached house on the prestigious Royal Mougins Golf Club, Cote d'Azur. 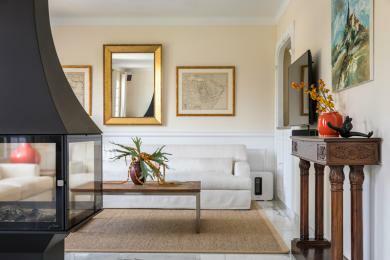 Within walking distance to the clubhouse amenities which has a heated and gated shared pool. Partly air-conditioned. This house sleeps 6 people.